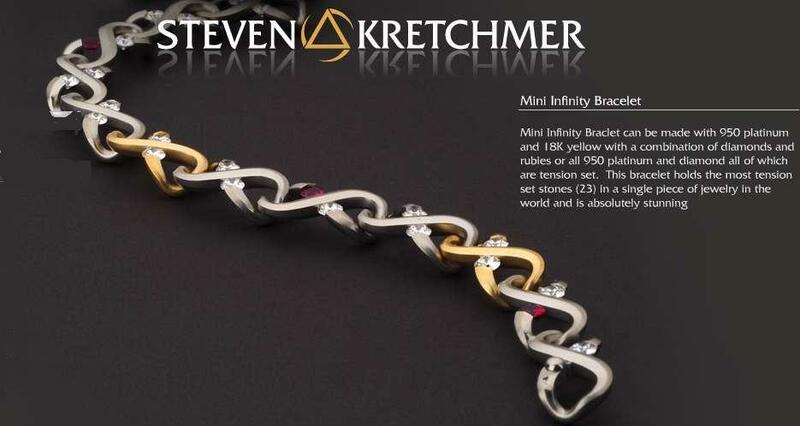 Micro Infinity Bracelet - Metal choice may be selected in "drop down" box at "Add to Cart" area. $23,610 ranging upwards of $24,550. Includes 23 3.5mm diamonds (approx 3.45ct tw).